Wheel repairs that remedy air leaks and vibrations are displayed below. Alloy wheels can develop any combination of the 3 conditions. Bent, cracked and/or corroded metal all wreak havoc on the rim's functional purpose of holding air and rolling down the street straight and true. At Express Wheel Repair we enjoy helping people get back on the road by fixing these functional ailments. 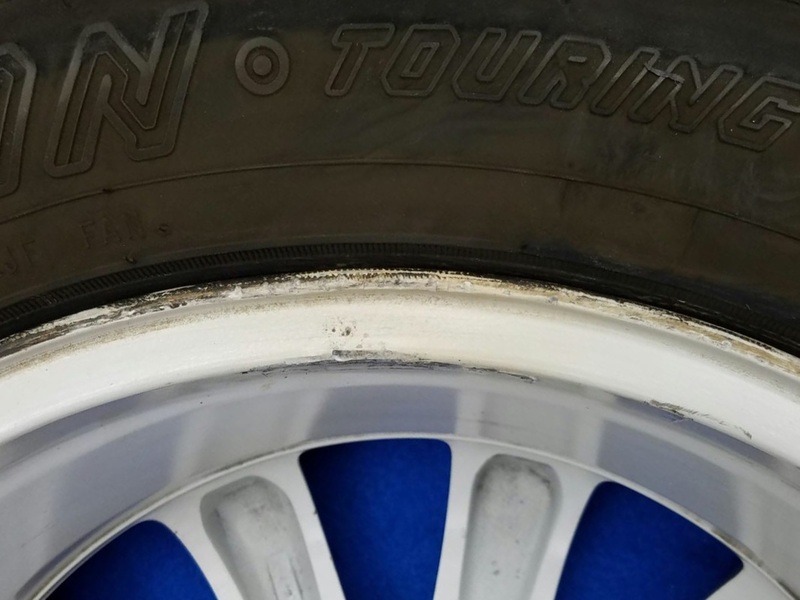 Severe chrome corrosion inside the tire. Fix-A-Flat had been previously used for an extended period of time. 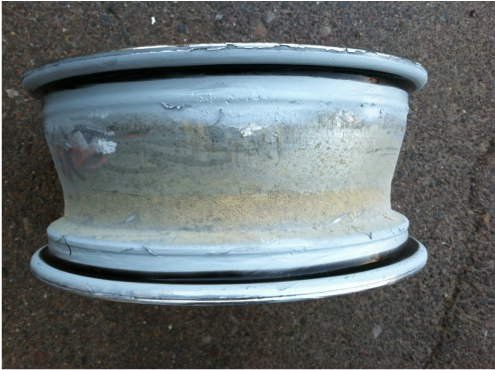 This caused the tire to no longer hold air because the sealing surface in the rim was corroded & no longer smooth. All fixed, smoothed, primered and sealed. Wheel repair camelback! Standard example of a bent rim. not too bad but enough to cause the tire to lose air and render the customer immobilized. Happily straightened for her at Express Wheel Repair. 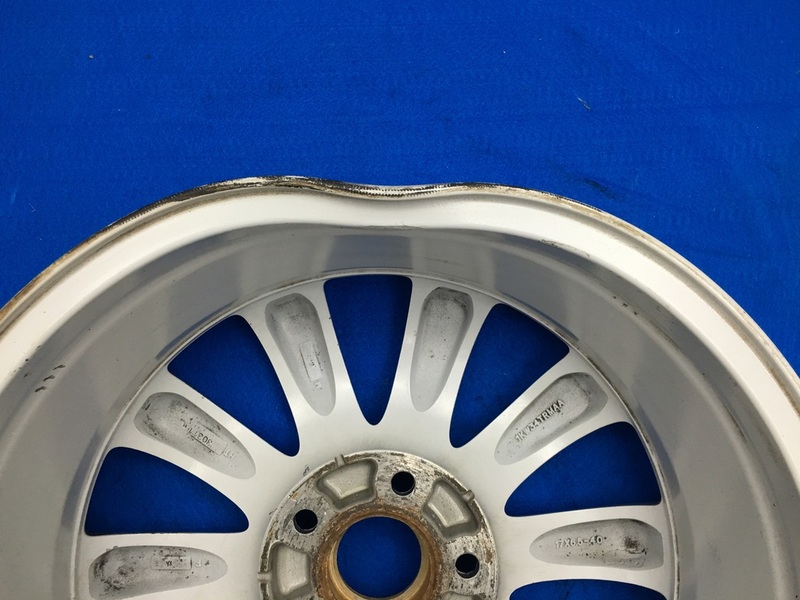 This is an extreme example of a cracked wheel. 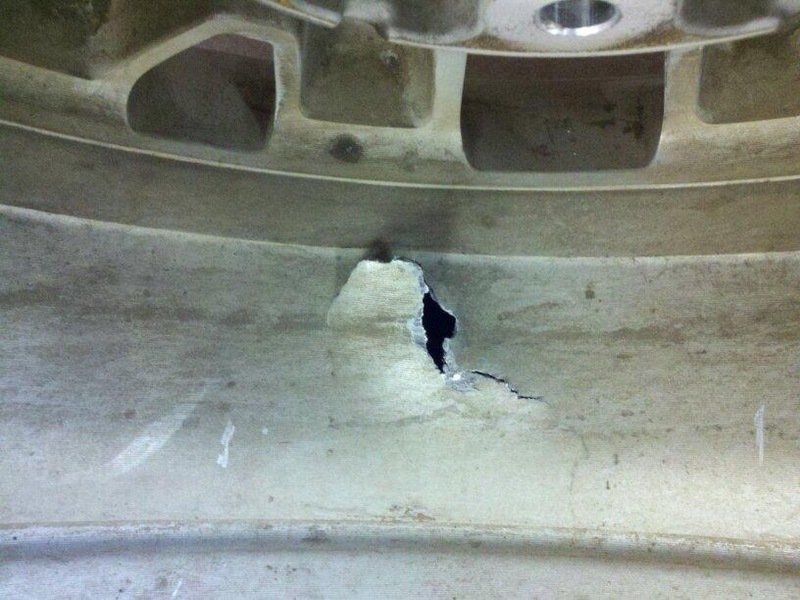 Some road debris came through the tire and blasted the wheel causing this massive hole. 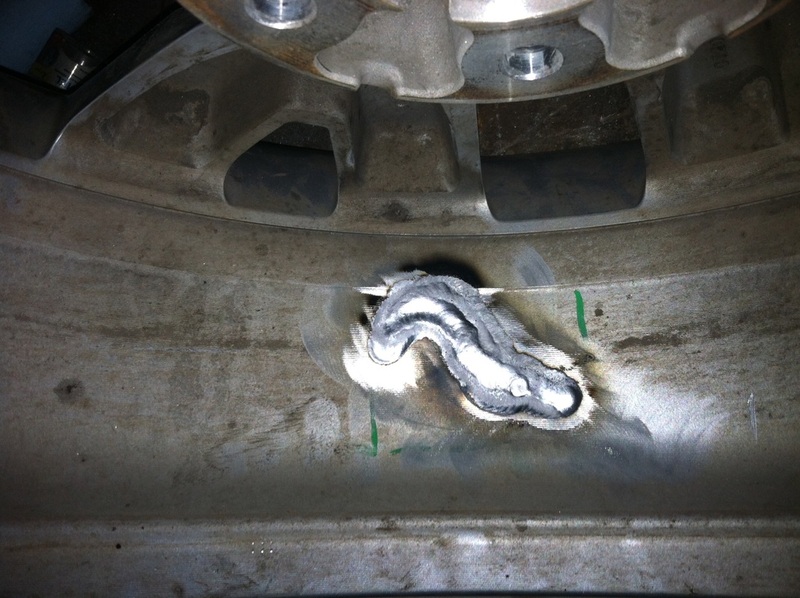 All cracked wheels are repaired via TIG welding. This ensures the alloy is properly fused and the weld achieves maximum strength. Both the inside and outside are welded to ensure strength. This photo was taken in 2011, the customer has been happy ever since. 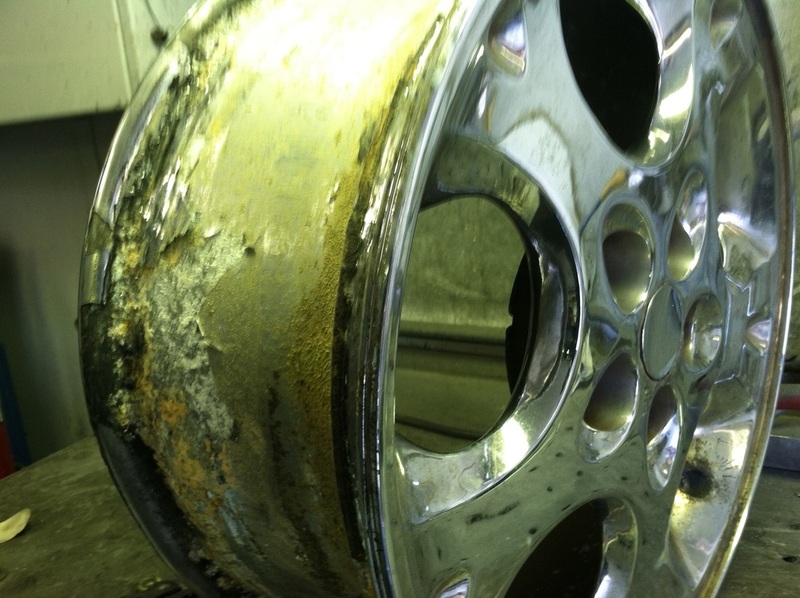 At Express Wheel Repair we guarantee all of our work!